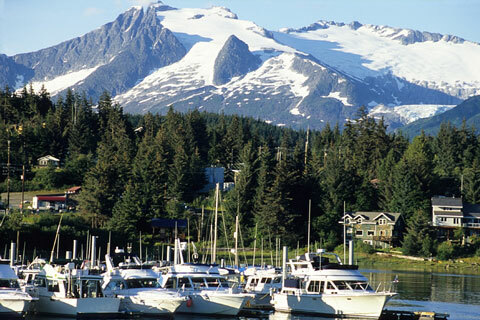 Wondering where to visit in Alaska? The options abound! Whether you are looking for some urban excitement, outdoor activities, or want to view some incredible wildlife and scenery, Alaska has it all. 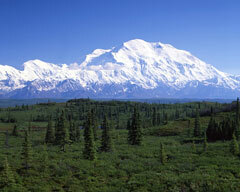 Alaska has an amazing array of landforms, which is why it is known as one of the most scenic states. Tree-covered hills and icy peaks that rise above winding fjords are common in the Southeast, while farther north, roads are side-by-side with mountains and rivers. Temperate rainforests, arctic tundra, boreal forests, and volcanic islands are also part of the landscape. Alaska is divided into eight regions: Anchorage, the Kenai Peninsula, Prince William Sound, Western Interior Alaska, Eastern Interior Alaska, Southeast Alaska, Southwest Alaska, and Arctic and Western Alaska. Each area has unique offerings for visitors. Alaska's largest city, Anchorage, is also the state's economic, commercial, and transport center. Visitors looking for a little urban excitement will enjoy Alaska's theaters, museums, shops, parks, and restaurants. Anchorage's main sites of interest are concentrated in its historic downtown area, as well as the older neighborhoods of Smuggler's Cove and Turnagain. The Anchorage Museum of History and Art not only houses most of the state's finest art, it also devotes many exhibits to Alaskan history and Native American culture. The Imaginarium is a great place to take kids who love science, while adults who want to see a truly unique building can explore the 4th Avenue Theater, which is designed in Art Deco style. The Alaska Native Heritage Center, the Alaska Zoo, and the Independence Mine State Historical Park are also popular places to visit. Visitors who are interested in theater or concerts can visit the Alaska Center for Performing Arts, which holds opera, dance theater, and concert performances. Alaska doesn't have any major league sports teams, but those who want to see a game, Anchorage is home to minor league baseball, basketball, and hockey teams. 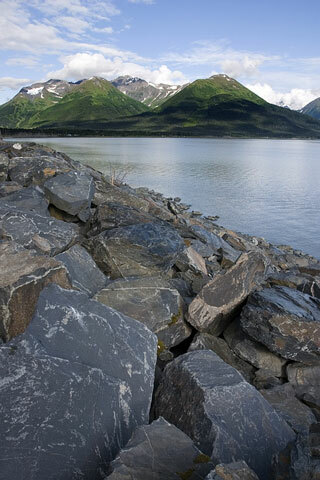 The Kenai Peninsula is an interesting mix of urban living and rugged outdoors. Popular attractions in the region include the Resurrection Pass Trail, which is the state's most popular multi-day hiking route, and Kenai River, where adventurous visitors enjoy rafting and fishing. 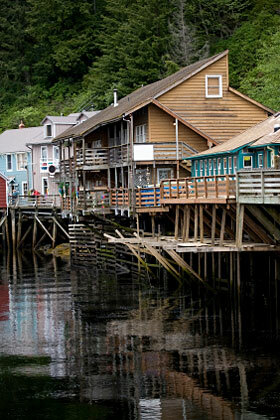 Those looking for an urban experience can visit the Alaska Sea Life Center in the nearby urban center of Seward or the Islands and Ocean Visitor Center in the bustling town of Homer. A large bay dotted with treed islands, Prince William Sound is located in the northernmost part of the Gulf of Alaska. The towns of Valdez, Cordova, and Whittier are home to popular cruises that allow visitors to see whales, seals, and sea otters. Another popular destination in Prince William Sound is Copper River Road, an incredibly beautiful expanse of highway that takes visitors through the bird watching area of Alaganic Slough and over the famous Million Dollar Bridge. 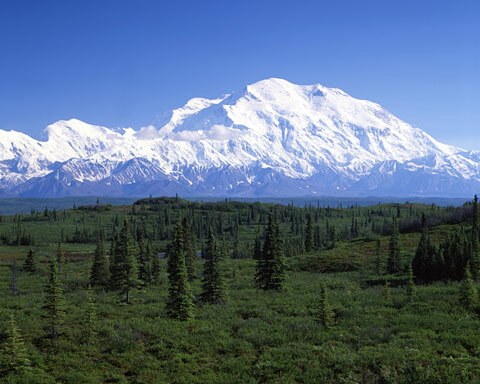 Denali National Park, home to Denali (formerly named Mount McKinley), is Western Interior Alaska's most famous destination. 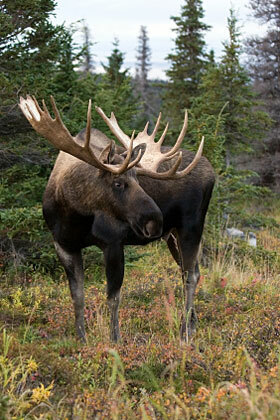 Visitors in summer can also enjoy Denali State Park, the museums in Fairbanks, and the town of Talkeetna. A trip across the incredibly scenic Denali Highway is also not to be missed. Known best as the place where the Klondike Gold Rush of 1898 occurred, Eastern Interior Alaska is home to the Wrangell-St. Elias National Park. Visitors also shouldn't miss driving the Edgerton Highway/McCarthy Road. Known as one of Alaska's most scenic drives, this road ends up at the abandoned mining town of Kennicott. Those who are looking for a nature experience will be impressed with the spectacular scenery of Southeast Alaska. The state capital, Juneau, is located here, as are the towns of Ketchikan, Sitka, and Wrangell. Juneau is not accessible by road from other parts of the state — it can only be reached by air or via the Alaska Marine Highway. For those who are interested in viewing wildlife, the Anan Creek Wildlife Observatory and Admiralty Island National Monument offer the best there is. Glacier Bay National Park and Juneau Icefield offer incredible views and vistas. 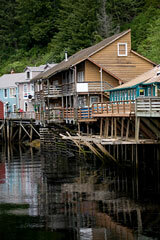 The Tongass National Forest and Prince of Wales Island are two other popular spots for visitors. Southwest Alaska is one of the state's most difficult regions to access, but it is also one of the most beautiful. Popular attractions include the Aniakchak National Monument, which features Surprise Lake. Another popular destination, Wood-Tikchik State Park, has a series of river systems that visitors enjoy. 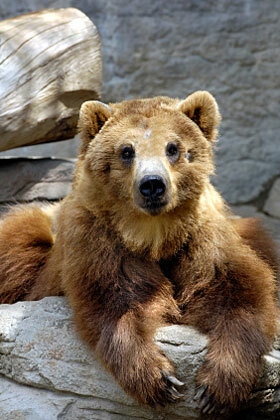 The Katmai National Park is visited by people who like to see bears, while the Pribilof Islands are known for their bird and fur seal populations. While Arctic and Western Alaska covers nearly two-thirds of the state, it is the most desolate and fierce of the regions and mostly attracts those who are seriously into the outdoors. 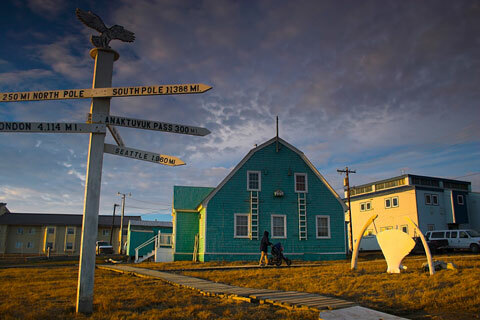 The Arctic National Wildlife Refuge is popular with those who want to see one of America's last true wildernesses, while the Kobuk, Noatak, John, Kongacut, and Hulahula Rivers are visited by those who like to kayak, fish, and view wildlife. The towns of Gambell and Nome are popular among those who like bird watching.